Certain foods are known to increase inflammation in the body which can impact on your general health. Avoiding inflammatory foods such as sugar, trans fats, refined carbs, and processed meats can help lower your risk of chronic disease. Eating too many foods that cause inflammation has been linked to rheumatoid arthritis, heart disease, diabetes, and obesity. Of course, inflammation has its role to play in keeping your body healthy and fighting off infections. 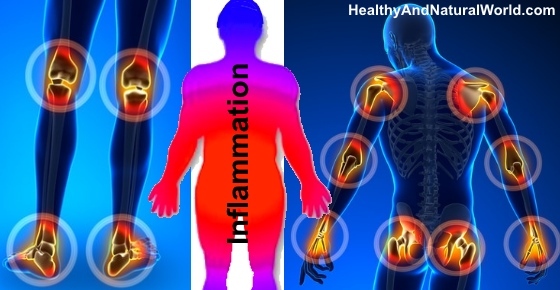 Inflammatory responses increase your body’s defenses and promote healing. However, it’s long-term inflammation that can have a detrimental effect on your health. In this article, you will learn about pro inflammatory foods and why you should avoid them. You will also find out what scientific research has revealed about the dangers of consuming high inflammatory foods. Inflammation can have a positive or negative impact on your health depending on the situation. Doctors say that inflammation is your body’s way to protect itself when you are sick or injured. For example, germs in a cut or wound will cause an inflammatory response that causes swelling, redness, pain, and possibly pus. There is growing evidence that diet plays a role in inflammation and there are a number of inflammatory foods to avoid. Let’s look in more detail at what causes inflammation and which inflammatory foods you should avoid. Refined sugar can be harmful to your health as it promotes inflammation and other chronic diseases. Sugar added to foods comes in many forms. Table sugar (sucrose), high-fructose corn syrup, and glucose are added to many foods, even so-called healthy foods, to improve the taste. What is the link between added sugar and inflammation? Of course, it is fine to eat fruit that contains small amounts of fructose or sucrose. Fresh fruits and vegetables also contain other nutrients that are good for your health. However, consuming a lot of foods containing fructose and other refined sugars is not good for your health. Inflammatory foods containing added sugars include pastries, soft drinks, cakes, bottled smoothies, candies, and certain low-fat products. Learn how to spot some of the signs that you are eating too much sugar. When it comes to fats and your health, it’s important to remember that not all fats are created equal. Some types of fat cause inflammation whereas others have an anti-inflammatory effect. Which are the types of fats that are on the inflammatory foods list? Inflammatory foods that contain partially hydrogenated vegetable oil (trans fats) include French fries, certain margarines, some cookies and pastries, and fast foods. Although vegetable oils are from plant sources, some of them can trigger inflammation. As already mentioned, not all oils are created equal and not all plant-based oils cause inflammation. For example, olive oil is an anti-inflammatory food because it can inhibit pro inflammatory enzymes. Olive oil has also been linked to a lower risk of cardiovascular disease, (32) and has many proven health benefits. You can learn about the benefits of taking omega-3 fatty acids to help lower inflammation in your body. Eating too many refined carbs in the form of white bread, pasta, cakes, and pastries can promote inflammation. The reason why many refined carbs are on the inflammatory foods list is that they quickly turn into sugar during digestion. This can cause a sharp rise in your insulin levels which causes an increase of pro inflammatory cytokines. These types of refined foods have a high glycemic index (GI) because they quickly metabolize. It is good to remember that not all carbohydrates are bad for you. Learn about why your body needs carbs, different types of carbs and what you should keep in mind if you choose a low-carb diet. There are some foods that cause inflammation because they contain artificial sweeteners and other additives. You may be interested to find out which other additives may be lurking in your food that are bad for you. Alcohol and inflammation are closely linked because too much alcohol can affect how the liver processes certain enzymes. Learn more about the negative effect that too much alcohol can have on your liver and inflammation. A diet rich in red meat or processed meat can raise levels of inflammatory markers and cause inflammation. Although meat is a good source of protein, more and more doctors are recommending increasing the amount of plant-based protein. Learn more about the best non-meat types of protein to help keep your body strong and healthy. Fast foods are among the worst foods for inflammation due to their high content of processed ingredients. There are some conflicting reports on whether eggs cause inflammation or not. You may be surprised to learn that there are fewer calories in eggs than you may think. Learn more about the benefits of eating an egg every day. Does Milk and Dairy Cause Inflammation? The question if dairy products such as milk, yogurt and cheese cause inflammation is very controversial. Recent scientific evidence points to conflicting evidence and inconsistent results. If you can’t take dairy products or want to restrict your milk consumption, find out about some great non-dairy sources of calcium or try these milk substitutes. What About Gluten and Inflammation? The Arthritis Foundation published an article about “The Connection Between Gluten And Arthritis” in which the current recommendation is to avoid gluten if you have a gluten sensitivity or Celiac disease, but there is no general recommendation to avoid gluten if you suffer from arthritis but don’t suffer from gluten sensitivity or Celiac disease. While the research is still debating about this point, bear in mind that not all whole grains contain gluten (like amaranth, buckwheat, millet, quinoa, oats, brown and purple rice and sorghum), and you can still include these in your diet. Just as there are some foods that cause inflammation, there are many foods that help to inhibit pro inflammatory enzymes in the body.